This isn't my official photo for today - I'll put one up later (it's past midnight and I'm 150 miles from home...) AND this isn't from Sharon. But I think it's really cool - sort of watercolor-like. 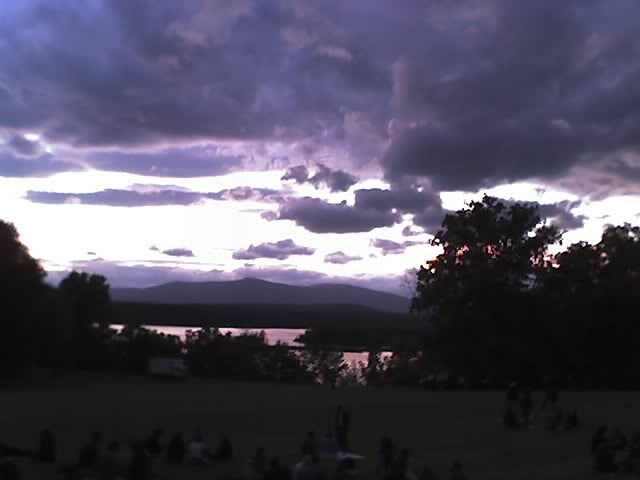 I took it with my (new) mobile phone at Bard College on the Hudson River last weekend. I did absolutely nothing to it - this is how it came from the phone. I especially like how all the people on the lawn look mysteriously ghostly. Wow!From your phone,amazing.Love the storm passing over pic too. Excellent color, lighting, and quality!